After playing from behind and eventually coming up short Thursday night in Atlanta, the Utah Jazz bounced back in a big way Saturday night in Chicago, jumping out to a huge first-half lead and coasting to a 114-83 win over the Bulls. 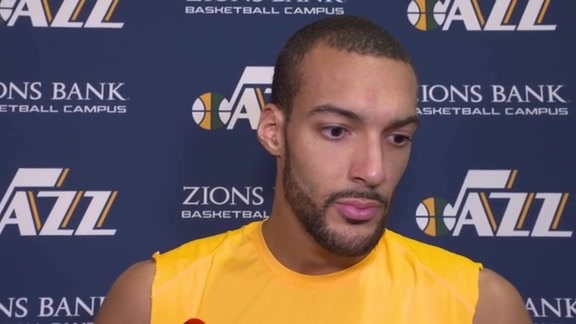 "We had a rough night in Atlanta, but we came in today locked in—especially defensively," Jazz center Rudy Gobert said after the blowout victory. "We had a great defensive first half, and the offense took care of itself. Our defense set the tone tonight." The Jazz (43-30) allowed only 36 first-half points. Gobert scored 21 points to lead seven Jazz players in double figures. All 13 Utah players who suited up scored at least two points. Donovan Mitchell scored 16 points on 5-for-8 shooting, marking the fewest field-goal attempts he's had in a game since November 19, when finished with seven points on 3-for-8 shooting in a 28-point loss to the Pacers. 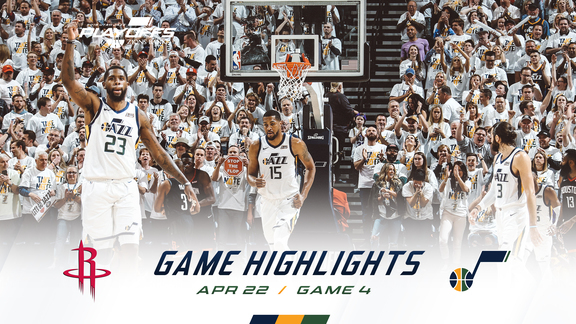 Joe Ingles and Derrick Favors scored 13 points each, while Ricky Rubio (12 points), Jae Crowder (11 points) and Raul Neto (10 points) also reached double digits in the win. Lauri Markkanen double-doubled with a team-high 18 points and 10 rebounds for the Bulls (21-53) in the loss. Gobert finished with 21 points (on 9-for-11 shooting) along with 14 rebounds, two assists and four blocks—after failing to block a shot in his previous two games. The Stifle Tower also had a net rating of +19 in 26 minutes, and he collected his 58th double-double of the season, which matched his career high from last year. Utah quickly fell behind 2-0, and then it was over for Chicago. That's only a slight exaggeration as the Jazz went on a 24-10 run to take a double-digit lead they wouldn't relenquish. Rubio scored Utah's first four points, while Favors put in two buckets at the rim, Ingles scored, Mitchell hit two threes and a layup, and Gobert threw down a dunk. The Jazz really took control in the second quarter, opening the period on a 27-6 run to take a 36-point lead. Utah made four 3-pointers, three layups and two dunks over that stretch as seven different players scored. Utah cruised from there, leading by as many as 38 (and never by fewer than 28) en route to the lopsided victory. Utah shot 11-for-32 (34.4 percent) from 3-point range. Chicago shot only 2-for-16 (12.5 percent). Crowder (3-for-9), Mitchell (2-for-2), Neto (2-for-3) and Ingles (2-for-7) each hit multiple threes for the Jazz. The Jazz nearly doubled up the Bulls in the first half, taking a 70-36 lead into halftime. Utah shot 56.2 percent in the first half while holding Chicago to only 31.2 percent. 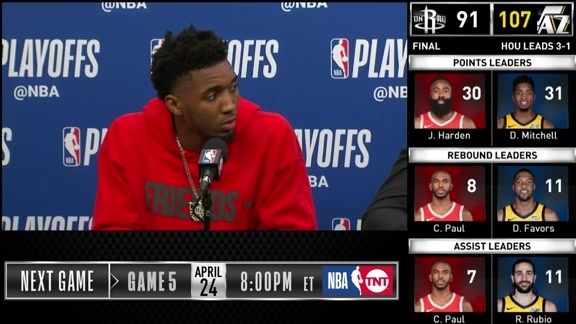 "I liked how we started the game. I thought we were focussed on the defensive end. ... I just want us to keep getting better. We obviously didn't play as well as we could in Atlanta. I thought we did some good things tonight. We've got to be able to not have to say 'We didn't play as good as we could.'" The Jazz have now won five of their past six games. 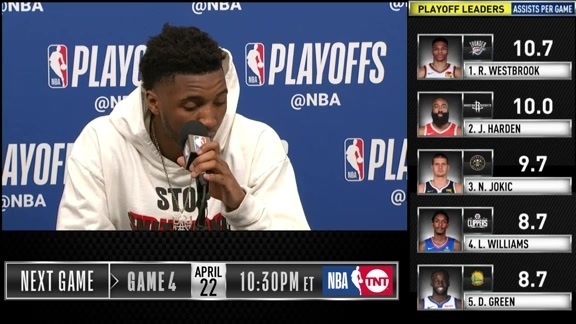 ... Otto Porter (shoulder), Zach LaVine (thigh) and Wendell Carter Jr. (thumb) were out for the Bulls. ... Danté Exum (knee) remains out for the Jazz. ... Crowder picked up a technical foul in the third quarter. ... Utah has a 20-18 record on the road this season. ... The Jazz outrebounded the Bulls 58-45. ... Each team turned the ball over only 12 times. The Jazz will return home to face the Phoenix Suns on Monday night. Tipoff is set for 7:00pm MT.